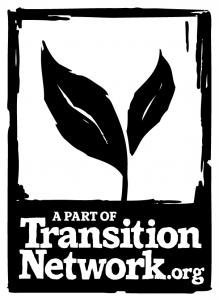 Why should you come to the 2011 Transition Network conference? Imagine immersing yourself for 3 days in the latest thinking on Transition, hearing from the most ground-breaking projects, going deeper into what it’s all about, putting faces to names you only know from reading them online, meeting hundreds of other Transitioners from all over, and going home revitalised, refocused and refreshed. There will be 3 sessions of workshops, 10 in each. The workshops are also, of course, only a small part of the overall programme. There will also be many opportunities to meet other Transitioners and find out what they are up to, including the chance to meet in theme groups, so you can, for example, connect with all those who share your passion for local energy, food or education. There will be some large group activities, which were, for many, the highlight of last year’s conference. Also, this year we are trying a different approach, substituting Open Space, which has been a focal point for each of our previous conferences, with the Fishbowl technique, which will allow a much deeper exploration of some of the more charged and pertinent issues that you bring to the conference. In North London Transition Belsize Draught Busting workshops are helping the community stay warm, save money and tackling fuel poverty. A project exploring all the ways bicycles can be used in our lives in transition has built a facility for bicycle maintenance, repair, and building special bicycles. Big cheer for Sandra Murray, founder of Transition Launceston in Tasmania, for being on this year’s cover of their local Yellow pages. The theme for the book cover this year is « Australians creating a better future ». Calling all writers, photographers citizen journalists, community blog editors and everyone who has a story to tell. This September we’re launching an innovative and ambitious Social Reporting project that sets out to explore and communicate the different issues and experiences of being in Transition. And we’re looking for 12 correspondents in the UK to tell their initiatives’ story from the front-line, on line, over a three month period between August and December 2011. The ‘In Transition 2.0′ team have had a sneak preview of Rob’s now-complete manuscript and meetings are well underway to co-ordinate this huge film effort. We’ve heard from filmmakers and Transitioners in Argentina, Australia, California, Canada, France, Isle of Man, New York, New Zealand, Portugal, Scotland, and Spain. Transition West Kirby have just finished their annual survey of allotment waiting lists across the country. The report demonstrates that demand for allotments remains high, and there seems to have been little increase in supply – the number of plots in new allotment sites brought into use by local authorities in the last year represents only about 1% of the number of people on local authority waiting lists. No More Need to Talk to Talk About Peak Oil? Has everybody has now heard so much about climate change, peak oil and sustainability that there is nobody left who can genuinely call themselves undecided? What does a resilient entertainment industry look like? Once upon a time in a small artist’s studio three people who live in the north of Norwich were sitting round a table trying to work out what to do. They loved Transition Norwich, and they loved where they lived, but no one came to their meetings. After half an hour wondering they came up with the only legal answer: A PARTY!! One wet night in February I picked up a large, old female toad on her way to the pond and she asked me why there were so many more cars going through the village now. The triple crunch won’t be pretty. ATMs freeze up, the planet warms up and the lights go out. [However] the prevailing belief is that the global economy had a narrow escape in late 2008 but has emerged pretty much unscathed. Job done. Time to go back to sleep. Only wake us again if there is another chance that the banks might run out of money.